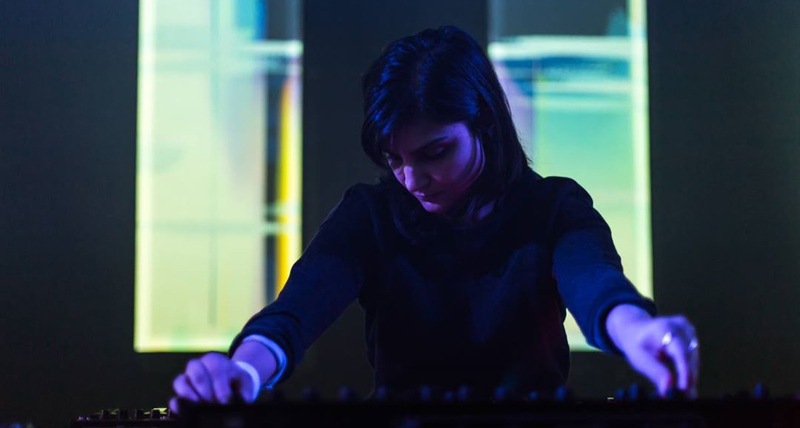 Sarah Davachi composes experiences, her environments built on a minimalist yet all-enveloping music of psychoacoustic phenomena and physicality. 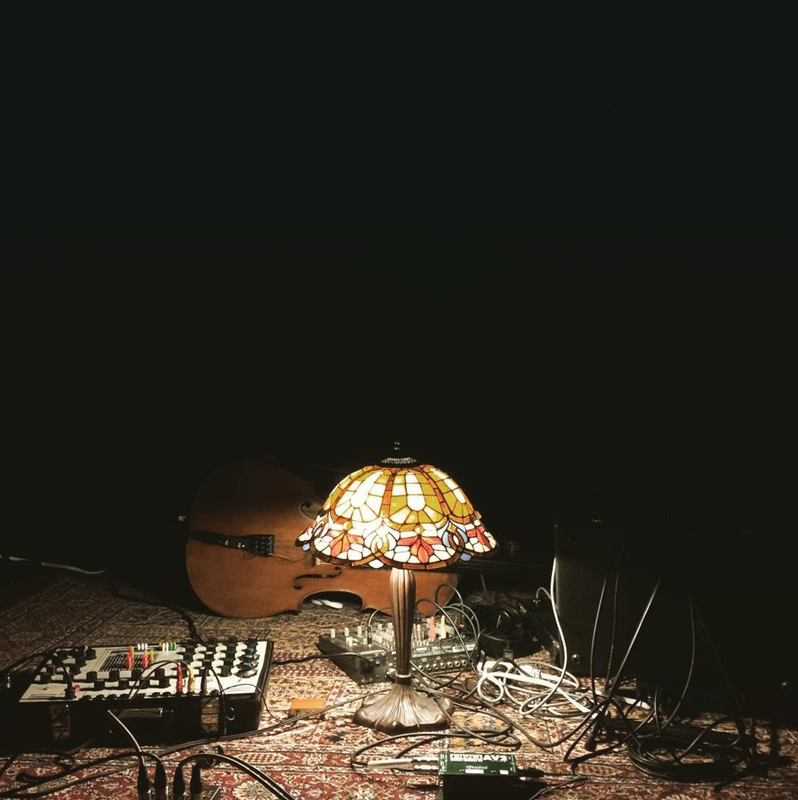 These “irreal” worlds evolve gradually, Davachi's precise drones, harmonies, complex overtones and natural phasing patterns shift from harmonic progression into stillness, always with an expressive, complex emotion lurking in the vibrations. We met the Canadian composer ahead of her performance at the festival. Although minimalist, the emotions one can experience in your music are complex without being forced or induced. Do you try to keep a distance with your emotions when you compose? I don’t try to hold back when I produce, I don’t try to do anything specific actually. I’m not hoping for people to pick up anything in particular. If they feel it, it’s great and if not, then it’s okay too. Regardless of whether it’s emotional or something else and although it might sound selfish, the music I produce is mostly music that I want to hear. It is primarily what motivates me to keep making music and always trying to get better at being able to transmit what I want to express. What is the importance of gradual and minimal transformations in the music, in which way is it different than brutal and dramatic shifts? For me it’s just an aesthetic choice. I listen to a lot of different types of music, but in my own compositions I prefer when things move slowly and are settled. It does require patience to listen to things for an extended period of time and when transitions come in slowly, it’s easier for your brain to accept it as a new sound, but the things happening in the transition itself are as interesting. Specializing in synthesizers, how deep would you consider your knowledge of these instruments? I really like the synthesizers from the 1970s. I know those early instruments very intimately, I feel that they are mine in some way. They are really not as complicated as it may seem. All synthesizers from that era are built around the same principles. They have a keyboard, filters, oscillators, amplifier… some of them might have a special feature. To me they are a lot like acoustic instruments, in terms of how they behave, but also because of the fact that they are finite. Each type gives a special sound, just like a Steinway and a Yamaha piano don’t sound the same. When I record I usually record some base material and then I manipulate it later on. There’s little difference between acoustic or electronic instruments when I work that way. The texture of the sound will be different, but the way that I work with it is the same. You've spoken about composing music in specific locations, would you say that music enables you to dwell into that place or would you say the space dwells in the music? Definitely more of the latter, the space is like another version of an instrument, it affects the sound just like anything else. However I think that it ends up being the space that has to adapt to the sound, just because usually we don’t have the luxury to explore a space in detail before performing. I have this fantasy of doing a tour in Europe and just playing in churches and cathedrals. It would be amazing to have the time to learn about each of them and visit them ahead of time, really take the time to understand how the sound behaves in those locations and compose for that specific space. It would be a dream come true. The acoustic of churches works really well with the music that I do. Detailed music is sometimes harder to appreciate in churches because of the reverberance. They tend to be muddied. It’s really interesting how it washes the sound, but how new details emerge within it. Churches are beautiful places and they have this presence of listening already built into them. I always asked myself if it would to be weird to play in a place with such connotations as I’m not a religious person, but it hasn’t been yet. They also attract me because I’m really interested in the pipe organ. The organ is built in the church you can’t remove it from there, as a necessity you have to play in a church. 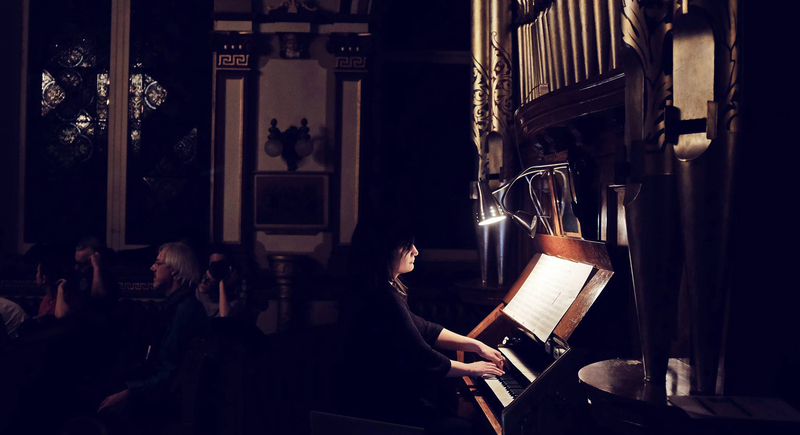 It’s a really interesting relationship between the organ and the room. I can’t think of any other instrument that is so connected to the space. When performing do you experience a feeling of letting go of control? When I’m recording I’m always open to what will come up. I will observe where things are going and I experiment. I am not planning too much. When I perform it’s a lot more intellectualized and less intuitive. When you produce you have the luxury to cut things that you don’t like, but when I perform I don’t feel comfortable with that level of freedom. Once on stage I want to know how it will sound and I will never try something completely new. Performing forces you to let go of expectations, though: venues vary, sound engineers vary, audiences, etc. I used to get really discouraged if I was playing and I couldn’t hear myself or if it sounded really different than the soundcheck, or if people in the crowd were talking. You have to develop a thick skin. At MUTEK 2017 you will be playing in a big room on a big sound system, have you played in a similar context before? I have actually never been at Metropolis. I know it’s huge, but I've played on bigger systems and in front of larger crowds before. Sometimes bigger spaces can be nice because they tend to have a nicer PA, but amplifying the number of people in the crowd can be overwhelming. Who you are playing with can also have an impact on how people are perceiving the event. However the audience of MUTEK is really respectful. They are there to listen and looking for that experience. That makes a big difference. I appreciate the fact that I was given the freedom to play as long as I want. Normally people want to know how short my set can be! I like to have the advantage of doing something that can unfold over a long period of time, something that doesn’t rush. I try to fight the feeling of always needing to move on when I perform, the stress of being on stage can make me go a lot faster. I have to remind myself that I know what I’m doing. It’s a bit funny, but I use a stopwatch when I’m playing. When I started performing I was shortening everything so the stopwatch almost forces me to wait and let the music go. You grew up in Calgary and have been living in Vancouver and lately Montreal, in which ways did these cities influenced your work? I think I received a different experience from Calgary than what people usually get from it. I don’t think it would be fulfilling for me to live there anymore. It’s a quiet city and I had a lot of resources by working at the National Music Centre, if I had been living in any other city I probably wouldn’t be on the same trajectory right now. I had the space to do what I wanted to do. A lot of people would say that Calgary is still developing, there’s this feeling that you can build whatever you want to do. There’s not so much competition, you can just slow down and try to do something new. Vancouver is also on the quieter side, especially in the winter. People tend to hibernate and it feels like doing a residency or being in a cabin in the woods. There’s definitely a sense of isolation, and you can concentrate on what you are doing because there is less social distraction. It’s a place where I can be very focused and I really value that about it. Montreal is kind of the antithesis of Vancouver. It can be overwhelmingly social and it was a bit of a shock for me. It has the most incredible music scene that I’ve seen anywhere. The people that I meet in Montreal just like to make music, they like to create. There are so many venues and so many different places to play music. The studio recording that I’ve done there at Hotel2Tango was very inspiring and Montreal is the only city where that kind of experience is accessible. I feel like in a lot of other cities, you have to be of a certain caliber to get access these places. People are just excited to work, and it’s very special. You will soon start a PhD in California, what will be your focus there? It’s a program of musicology. Since a couple of years I have been doing work for the museum in Calgary. Researching instruments and writing about them has been one of the most rewarding experience. To find all these little details about the instruments is fascinating. I would like to be able to focus on that. I have been interested in early music, and I find there are a lot of parallels with contemporary music. They had the same approach to listening to music, especially if you look at minimal music or experimental music, it's focused on details and a different kind of listening experience. I take inspirations and ideas from the music that I learn about. Studying musical instruments affects the instruments that I want to work with and how I want to hear them, and it makes me think about what I want to exploit in them. Sarah will perform at MUTEK 2017 on Thursday August 24, read more about the event here.